The Connecticut Business Business Services Division keeps detailed information on entities incorporated in the state in its database. You can access the database to view information on entities such as Corporations, Limited Liability Companies and Limited Liability Partnerships. Below is a step by step guideline on how to search for information regarding corporations or business entities in Connecticut. Simply follow the steps listed below to learn how to use the search tool of the Connecticut Secretarty of State. 1. To view the Connecticut business search page, click here. The search page looks like the screenshot displayed below. 2. Type in the either the Name, Business ID, or Filing Number. It's not mandatory to key in all the fields, but if you fill in every detail you will get more specific results. To test out their search page, search by name by typing in "Odyssey Toys". 3. Click on the "Search" button. The Results Page will then appear showing the Business ID, Status, and Business Address. 4. You can further click on the name in the Results Page to access more information on the entity. If you want a wild card search, you can put an asterisk symbol followed by the Business Name (for example, *Dominos). All the business entities named "Dominos" will then appear. 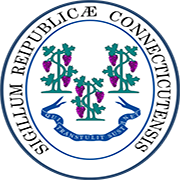 The Connecticut Secretary of the State is an elected constitutional official of the state. The office is one of the highest government institutions in Connecticut. It is the official keeper of a wide range of government documents and public records in the state. Presently, the office is headed by Denise W. Merrill. She was re-elected in 2014 after serving the office from 2011 to 2014.